Dr. Zhang is an Assistant Professor in the ABA Online Department. She received a Ph.D. in Education from George Mason University specialized in Educational Psychology and Applied Behavior Analysis in 2015. She is a Board Certified Behavior Analyst (Doctoral level) and a Licensed Behavior Analyst in the state of Virginia. Aside from teaching she has over 12 years of experience working with children and young adults with special needs. Dr. Zhang is also actively involved in the development of Behavior Analysis training course in mainland, China and is the Subject Matter Expert for the Behavior Analyst Certification Board. Dr. Zhang enjoys working with her students domestically and internationally with the beliefs that teaching is a scientific endeavor that can take place everywhere including online. Through teaching, students can acquire the knowledge and skills, which may finally leads to living a better life in the sense that learning is a pleasurable and lifelong pursuit. The best educational outcomes come from having motivation, communication, and an environment that allows learning to occur. When students and teachers work in a bi-directional way great ideas will generate and learning becomes challenging yet fun. 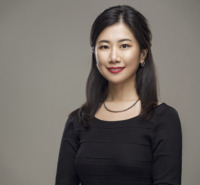 Dr. Zhang's research interests include self-management, skill acquisition through stimulus equivalence, executive functioning and social skills development among students with autism, parent and teacher training, evidence-based classroom management practices, teacher efficacy, and cultural issues relating to ABA.